Working a nine to five can get old very quickly, no matter what you’re doing. The mere fact that you have to go through the same old boring motions each day to complete the same tasks over and over again is enough to stir up a desire for more. Don’t sell your happiness short by setting your path to fit inside the lines of society’s vapid norms, and plot out your own course. Use technology to bolster the potential of freelancing your skills and services. 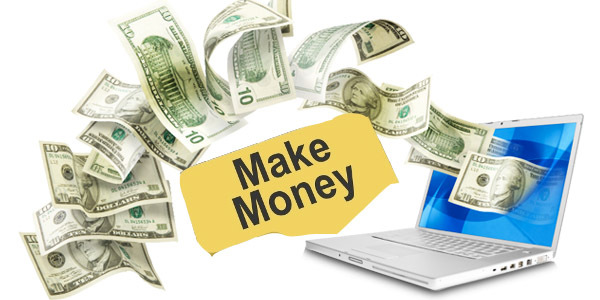 Check out this brief synopsis of a few excellent ways to make money using technology, and start working towards a more fulfilling career path today. If words are your niche, and writing tickles your fancy, look into becoming a content writer online. There a more opportunities now than ever before due to the infinite nature of the internet. There is always a need for more information, and we still need people to create and collect. Spend time researching, and try to get a taste of what the world of content creation is all about to decide what best fits your expectations. Mobile technology is being used by people all over the world every day to earn an extra buck, and there’s no reason you can’t jump aboard this commerce train. Contrary to popular belief, there are numerous mobile applications that can make you a significant amount of money. One of the most talked about mobile money-makers of today are the driving services. It pays to do a bit of research before choosing a company, and information is easy to find. Driving a car for Uber, or one of the other popular modern taxi services gives you the freedom to work when you choose. If your idea of a dream job is creating arts and other crafts and selling them for income, then you now have the perfect platform for your expression. Etsy specializes in selling the work of crafters around the world, and they don’t take half of the profits in the process. If you have the mind for business, try your fingers at the computer keys, and start your own ticket business. You can buy concert tickets for various venues around the world at the time of sale, and sell them to wanton fans who wait until the last minute to purchase their tickets. No. It’s not “scalping.” Ticket brokers are required to be licensed business professionals, and there are strict rules to follow for the legal resale of their inventory.